Prof. Evangelista is President White Professor of History and Political Science in the Department of Government at Cornell University, Ithaca, New York (USA), where he teaches courses in international and comparative politics. He received his undergraduate degree in Russian History and Literature from Harvard, a certificate in Russian language from the Pushkin Institute in Moscow, and his MA and Ph.D. in Government from Cornell. After ten years on the faculty at the University of Michigan, Professor Evangelista returned to Cornell in 1996. He has been a visiting scholar at Harvard, Stanford, the Brookings Institution, and the European University Institute in Florence, and a visiting professor at Università Cattolica del Sacro Cuore in Milan, Università di Bologna and Università di Roma Tre. 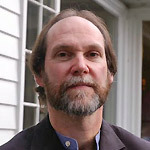 He has served as director of Cornell's Judith Reppy Institute for Peace and Conflict Studies from 2002 to 2008 and again since 2015, and as chair of the Department of Government from 2008 to 2011. Professor Evangelista is the author of five books: Innovation and the Arms Race (1988); Unarmed Forces: The Transnational Movement to End the Cold War (1999), winner of the Marshall Shulman prize from the American Association for the Advancement of Slavic Studies and the Jervis-Schroeder Prize from the American Political Science Association; The Chechen Wars: Will Russia Go the Way of the Soviet Union? (2002); Law, Ethics, and the War on Terror (2008); and Gender, Nationalism, and War: Conflict on the Movie Screen (2011). He is the editor of Peace Studies: Critical Concepts in Political Science, 4 vols. (2005), and co-editor of Partners or Rivals? European-American Relations after Iraq (2005); New Wars, New Laws? Applying the Laws of War in 21st Century Conflicts (2005); Democracy and Security: Preferences, Norms, and Policy-making (2008); and The American Way of Bombing (2014). His work has been published in Catalan, English, Finnish, Italian, Polish, Russian, and Spanish. His articles have appeared in scholarly journals and magazines such as The Nation and Harper's. He has served on the editorial board of Cornell University Press and journals including World Politics and International Organization, and as Chair of the National Council for Eurasian and East European Research. His current research interests include international humanitarian law, separatist movements, and gender and conflict.